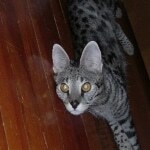 Dafiana's new thing is to talk to me ever so softly while she's rubbing her head on my forehead. 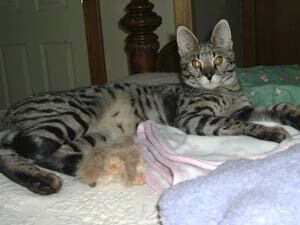 My grandaughter watched as I held Dafiana in my arms head nestled in my chest. 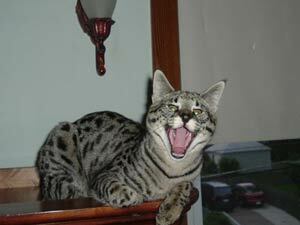 All Marie kept saying was AWE!!AWE!!! 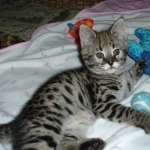 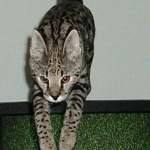 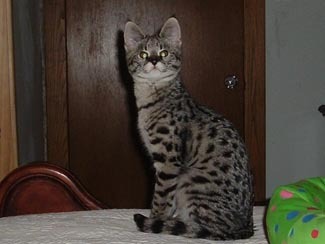 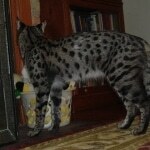 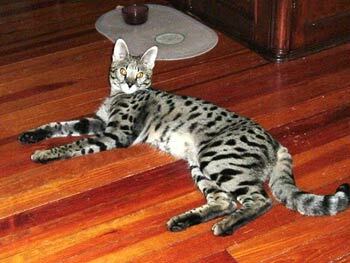 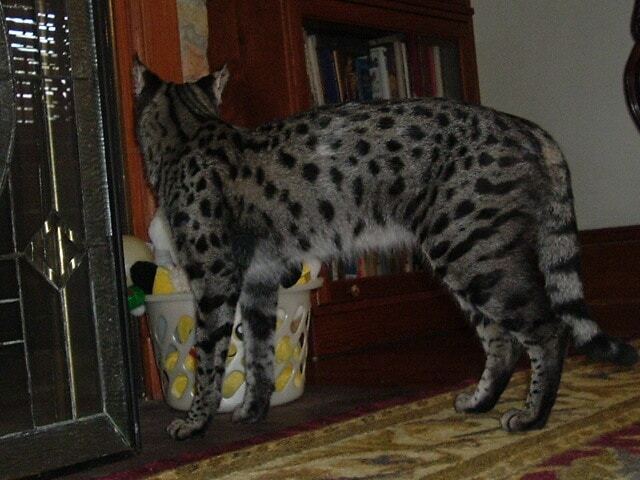 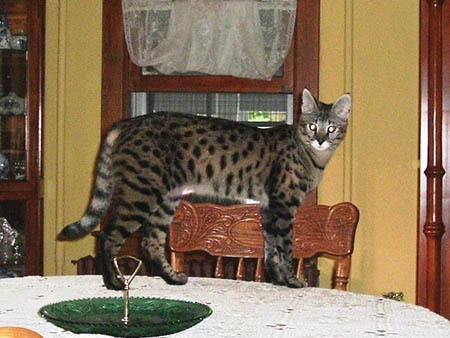 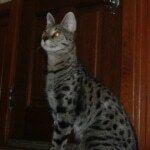 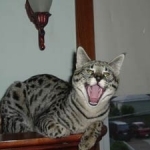 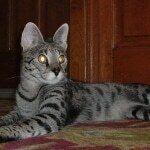 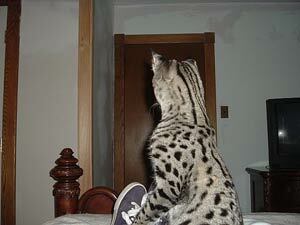 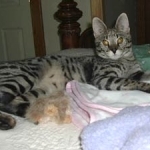 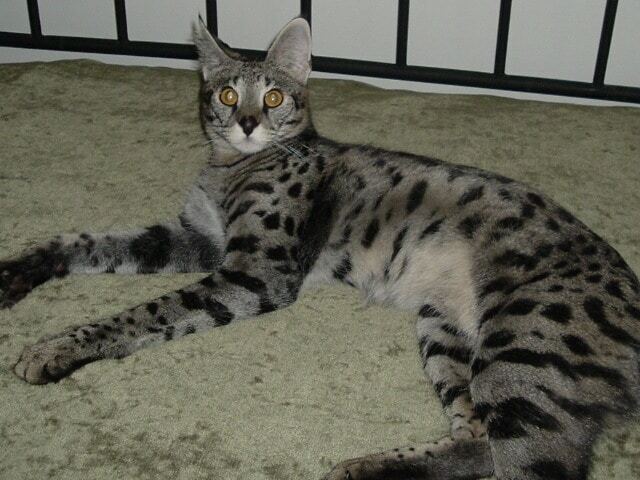 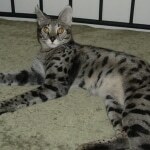 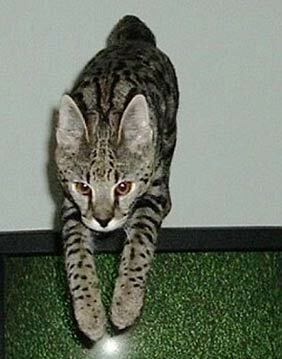 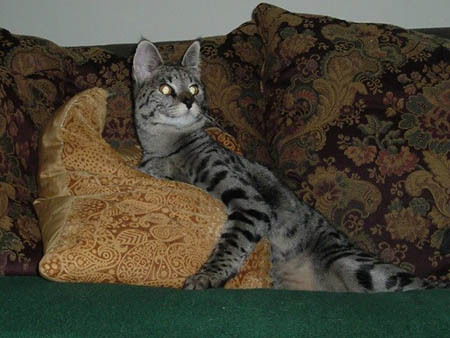 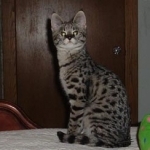 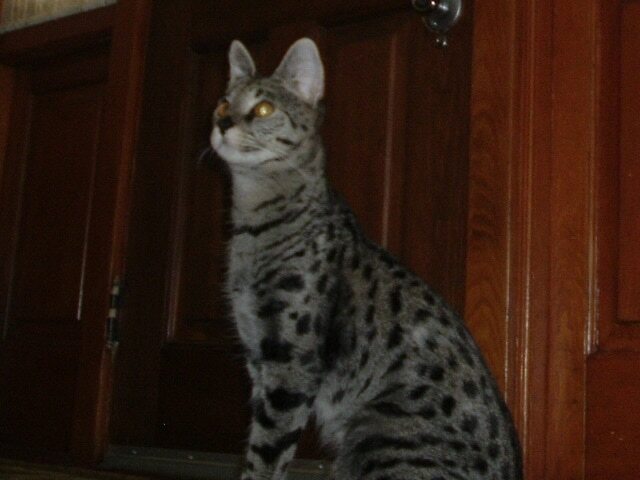 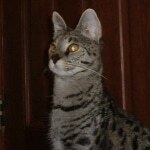 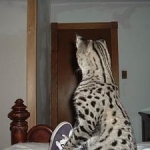 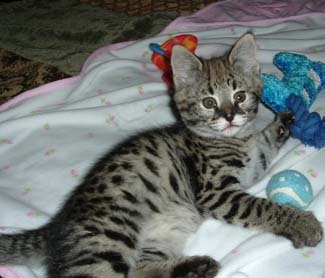 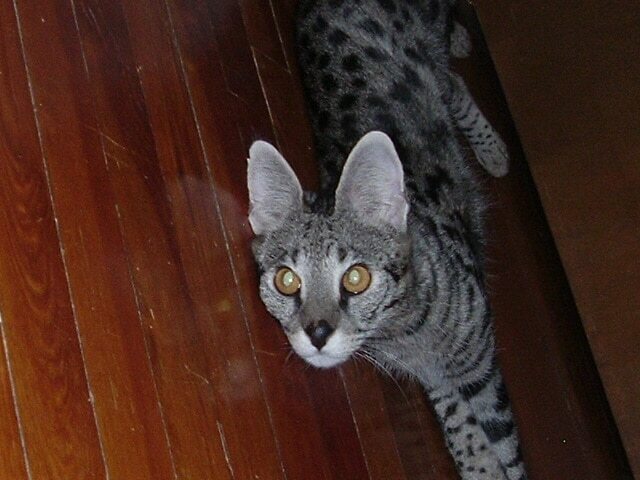 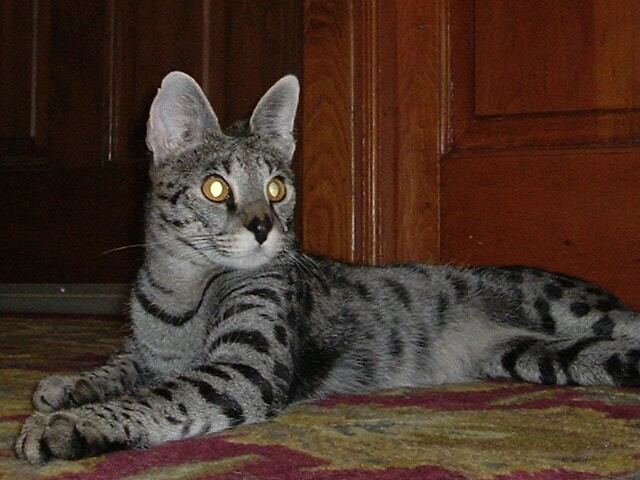 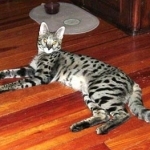 F-1 Savannah Dafiana is the heart and soul of early Generation Savannah Cats. 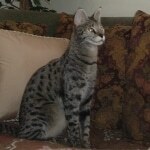 We are so proud of her. 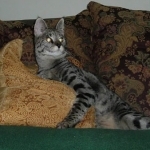 Thank you Linda of Kemple's Cats for sharing these pictures for all to enjoy! 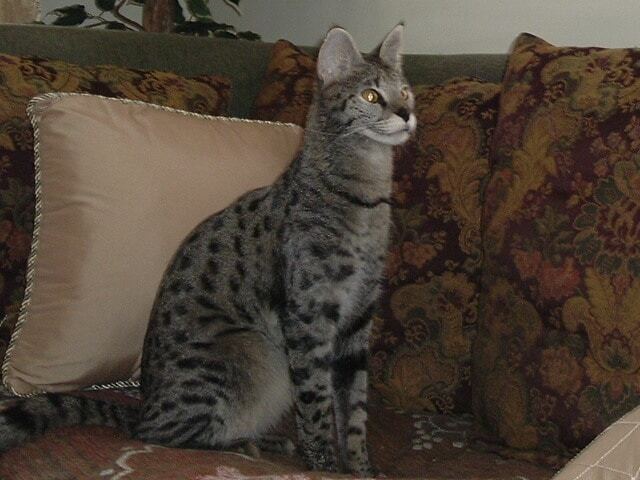 Dafiana is one of the first F-1 savannahs produced by Belle Hollow and she is still one of the most Beautiful! 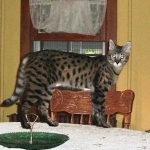 F-1 Savannah Dafiana is PURRRRRfection! 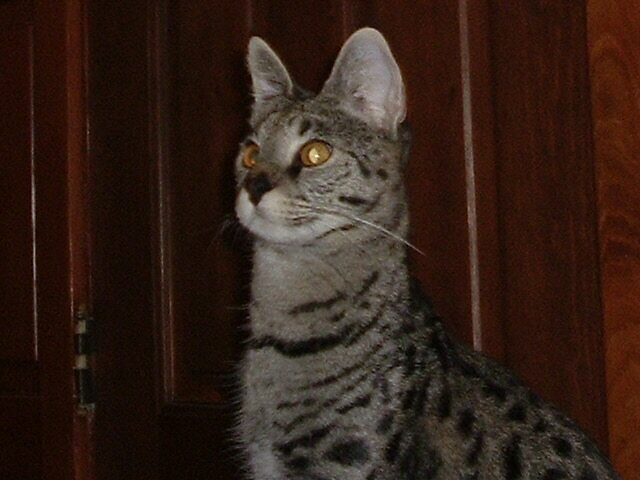 I Love my Dafiana F1...People slow down in their cars when she sits in the window!